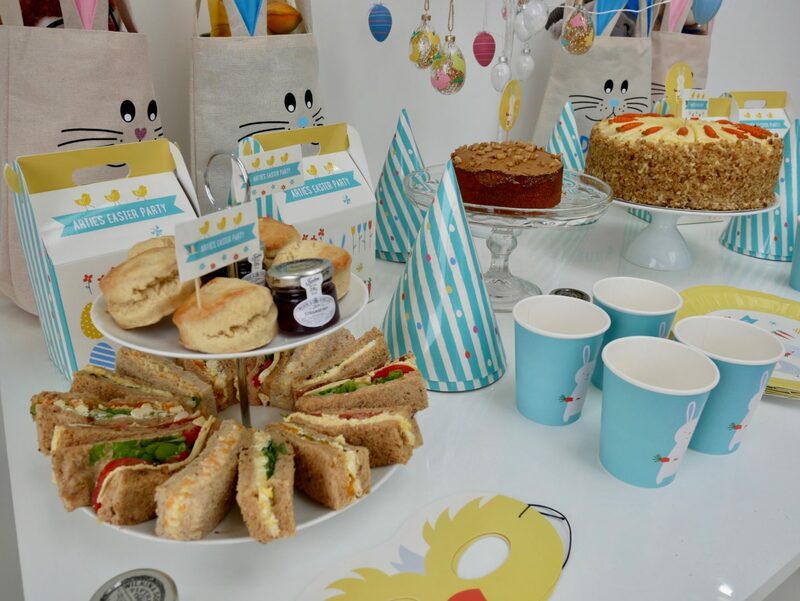 This Easter I decided to host an Easter Afternoon Tea, as thought would be more child-friendly than a sit-down roast dinner. Here are my basic dessert table rules for creating an amazing display! 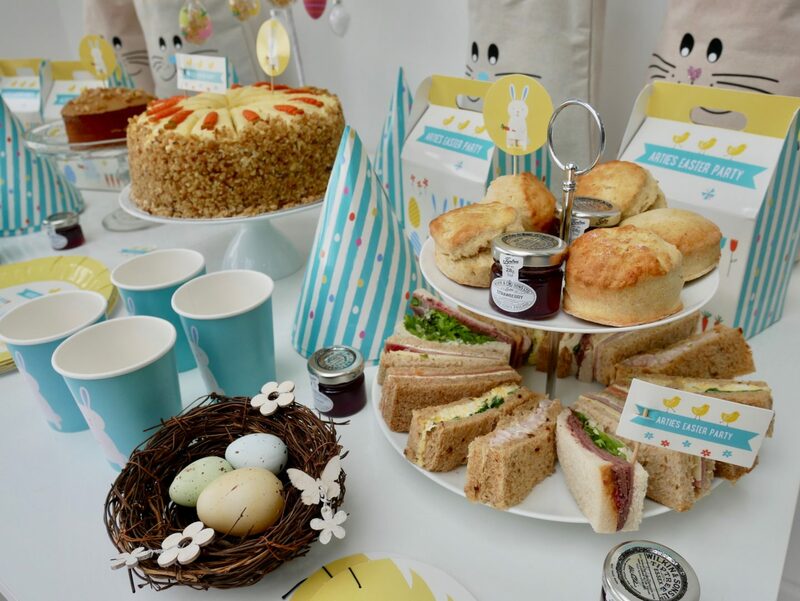 As with any dessert table, choose your theme, in this case, Easter. 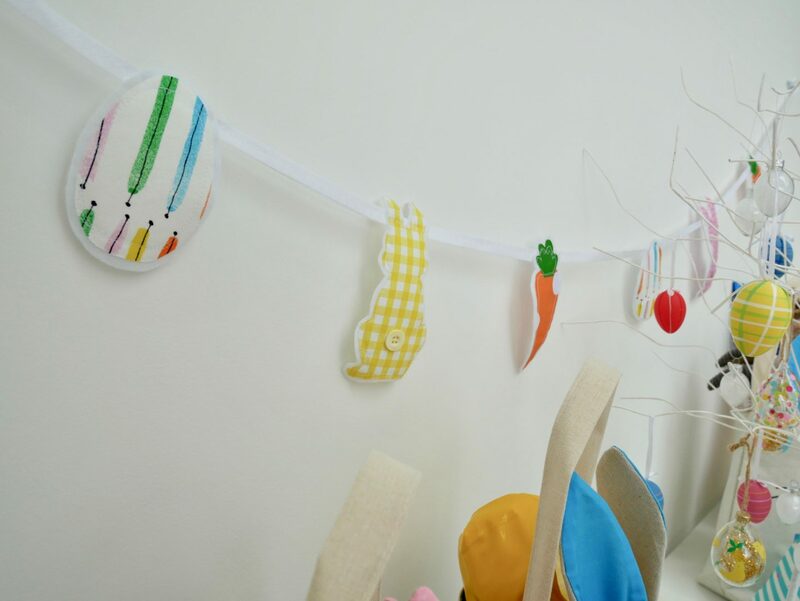 Select some pretty bunting or wall decor: this year we chose a delightful handmade easter bunting from Girl Friday – Adventures in Embroidery. Dawn creates such beautiful freehand embroidery pieces, so I know I can always get something special for my dessert tables and occasions. 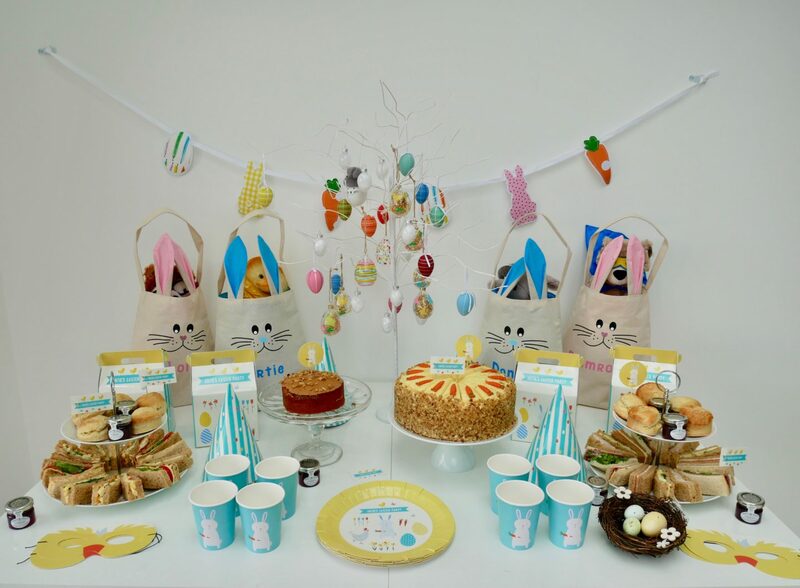 Choose a centrepiece: I often opt for a tiered cake for the centrepiece but for this occasion i was going with more afternoon tea style cake, so i chose a decorative twig tree with some decorative eggs. If you are feeling crafty you could make these, however, I will confess, mine were from John Lewis. 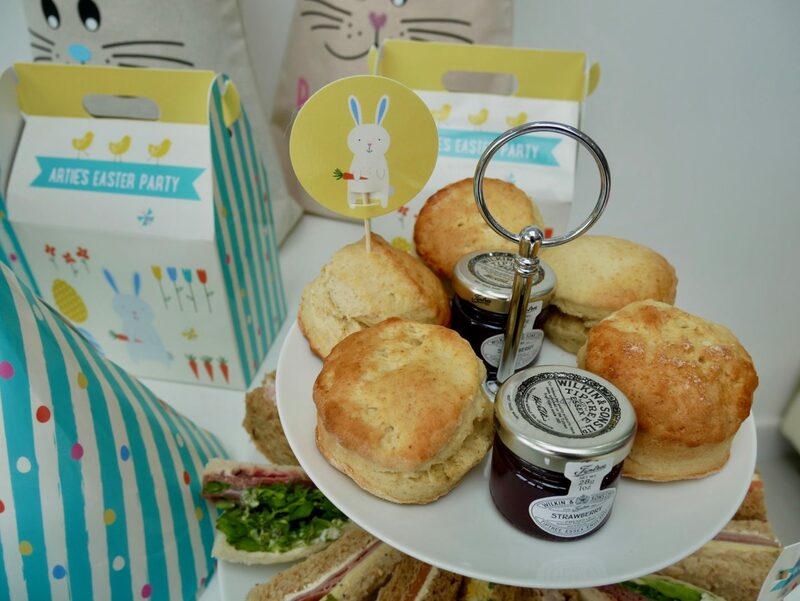 I also went for these gorgeous Easter bags from Everything Crafty on Facebook. 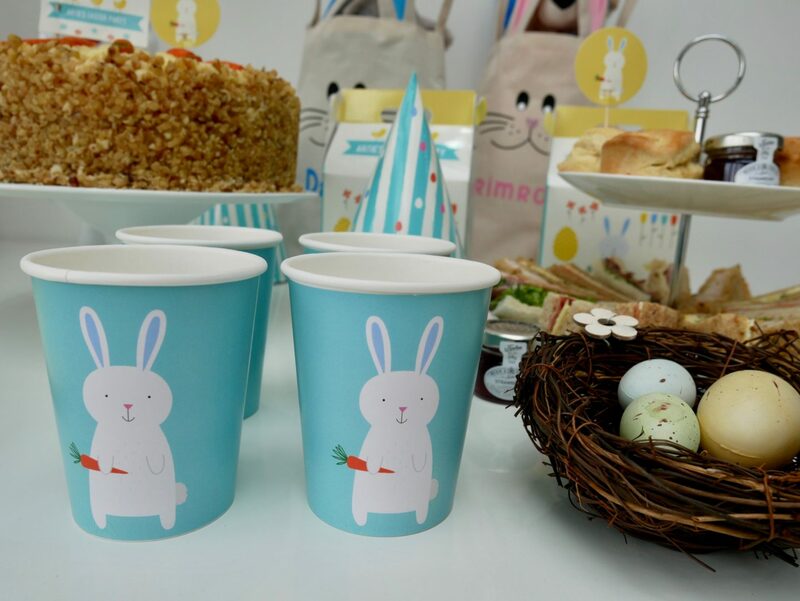 which I filled with Easter presents! I thought they really set the theme! 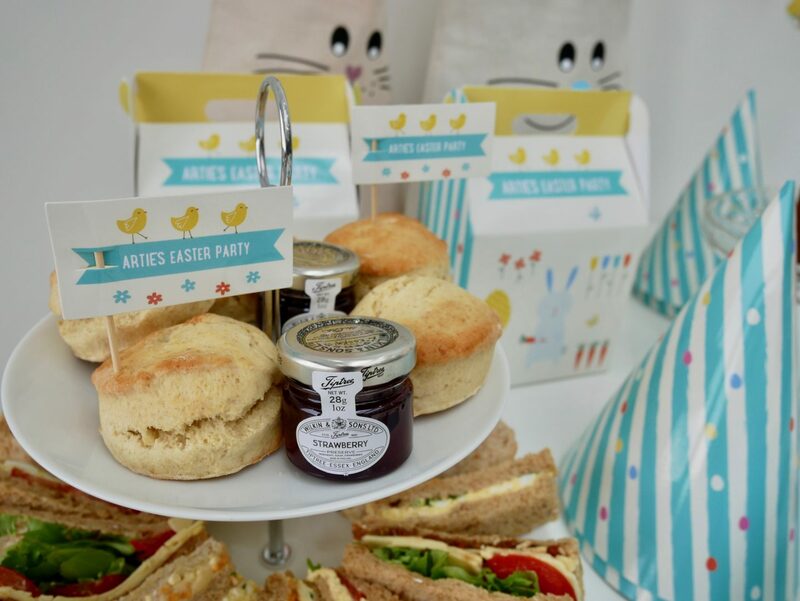 Personalised party packs: I love these personalised Easter treat boxes and party packs from Personalised Parties! 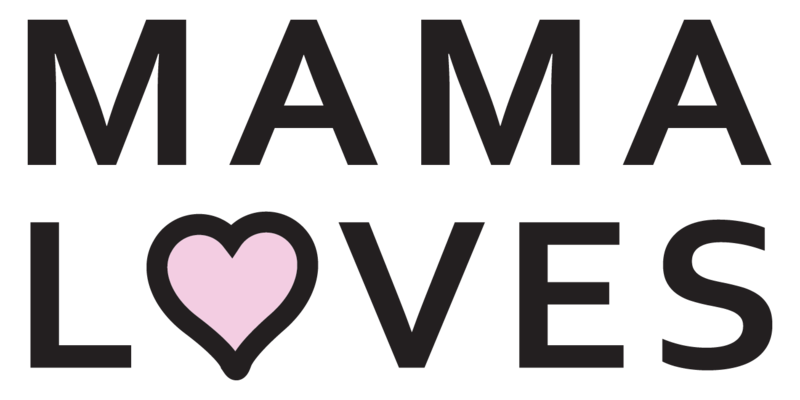 You can choose your theme (anything from pirates, unicorns, football, mermaids and more), personalise with your child’s name, and check out. 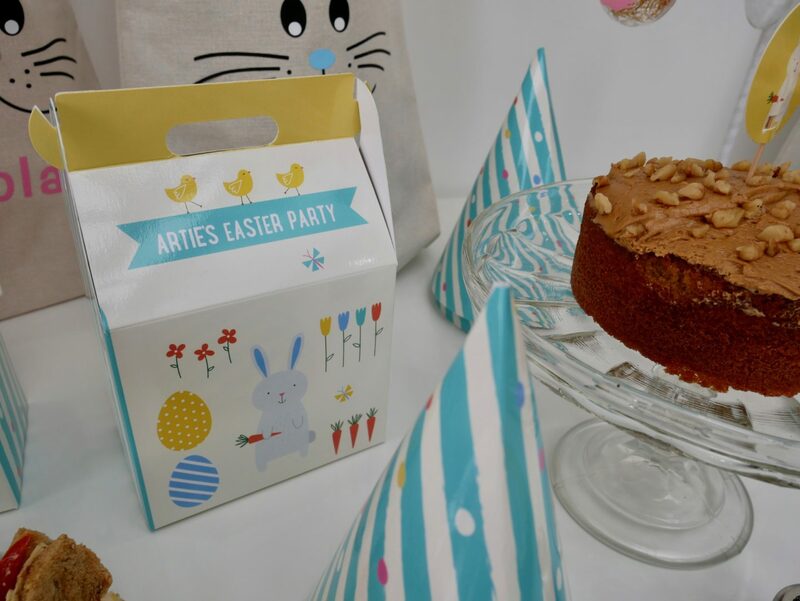 It all comes flat packed to your door and pops up in minutes ready for your party! 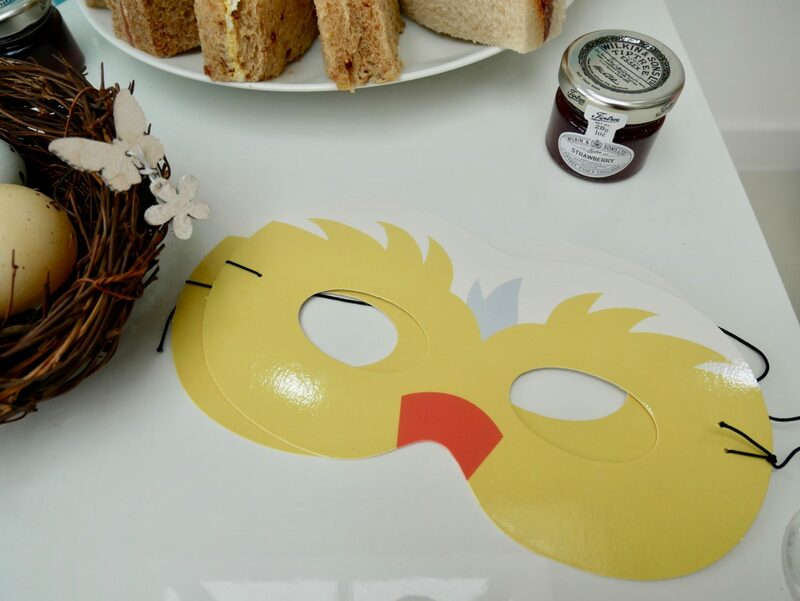 Plates, boxes, cake/cupcake flags, hats, cups, masks – all done! The kids loved them! Decorative items: Being easter, I chose a few easter decorative items like the nest with eggs. 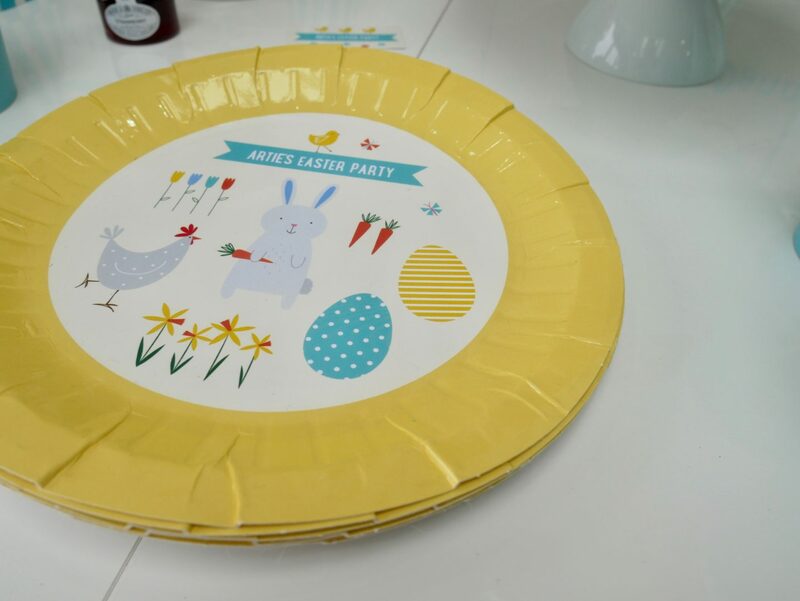 Waitrose had some lovely Easter decor this year and they’re things I can store away and bring out year after year. Cake stands: I am lucky to have a good collection of stands back from my cake days, however, if you don’t you can pick up some basic white bits easily which won’t cost the earth and you can tie into any theme you do. These white two tier stands in my photos were from Waitrose for £15 each. 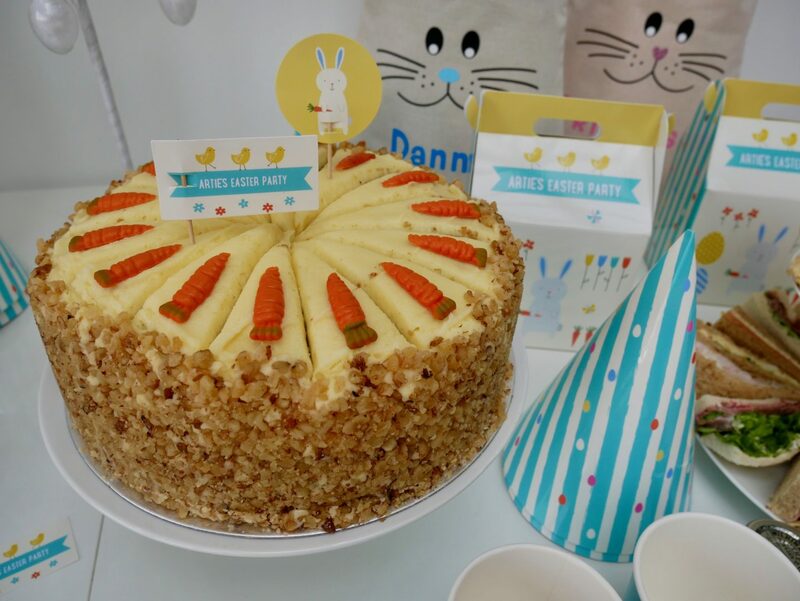 If you want something a bit more special, contact some cake designers and ask if they have anything you can hire. 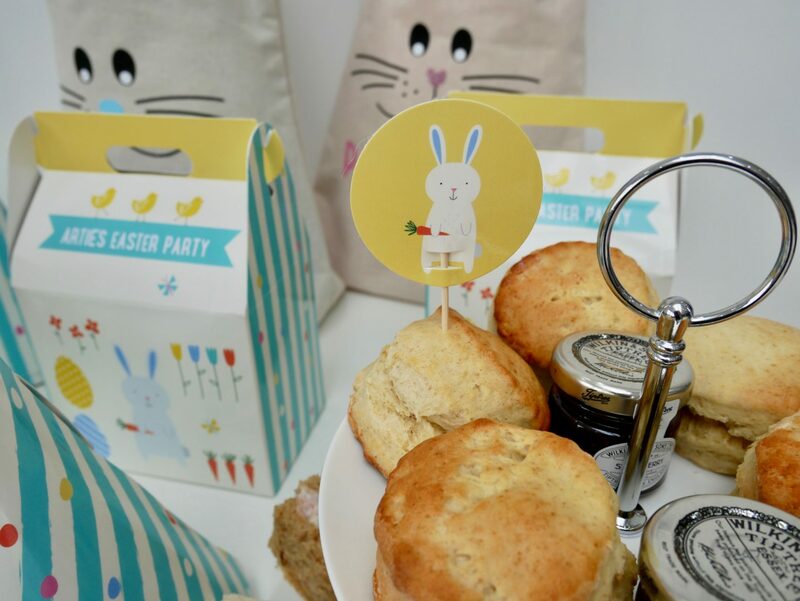 Hope you’ve enjoyed our Easter table, here are some snaps of how it all came together!